Langlands Point is situated to the south of East Kilbride town centre and lies within the well-established Kelvin south and Langlands industrial areas. 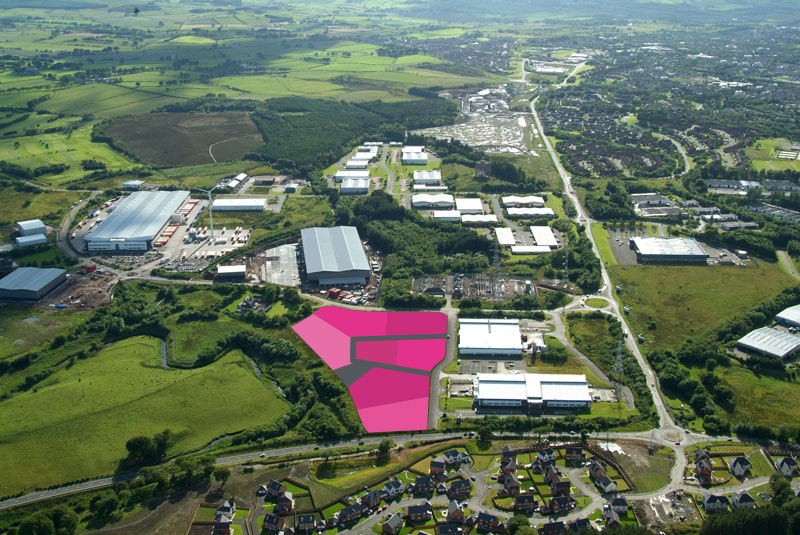 The land is an ideal location for industrial and office developments with sites available from 1-8 acres (0.40-3.24ha). The subjects comprise a level and generally rectangular site extending to an approximate net developable area of 8 acres (3.23ha). The site is prominently situated with excellent frontage to both the A726 Strathaven Road linking to the town centre and Hurlawcrook Road, the main estate road through the park. To discuss how Knight Property Group can accommodate you at Langlands Point, or to discuss the terms in further detail, please contact our letting agents by clicking on the logo below to email them.